The first step in the dental implant process is a thorough dental evaluation by one of our dentists at Oceanfront Dentistry. This will help determine if you are a candidate for dental implants. The evaluation may include a dental exam, thorough overview of your medical and dental history and imaging tests. This helps the doctors understand more about the health and structure of your mouth and allows them to create a treatment plan that is uniquely yours. 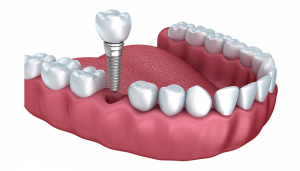 In many cases, the implant process, from placement to restoration, can be completed in our office. If you have any questions about implant dentistry, feel free to contact us by phone at 757.428.6656, click here to email us or request an appointment on the right hand side of the screen. We are here to help determine your individual dental needs.